Enter census page where this person is found. 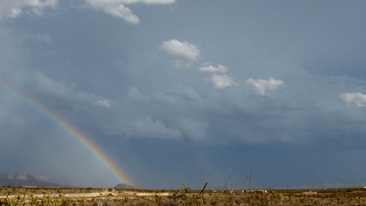 click years to see earlier "Terlingua Today" entries. 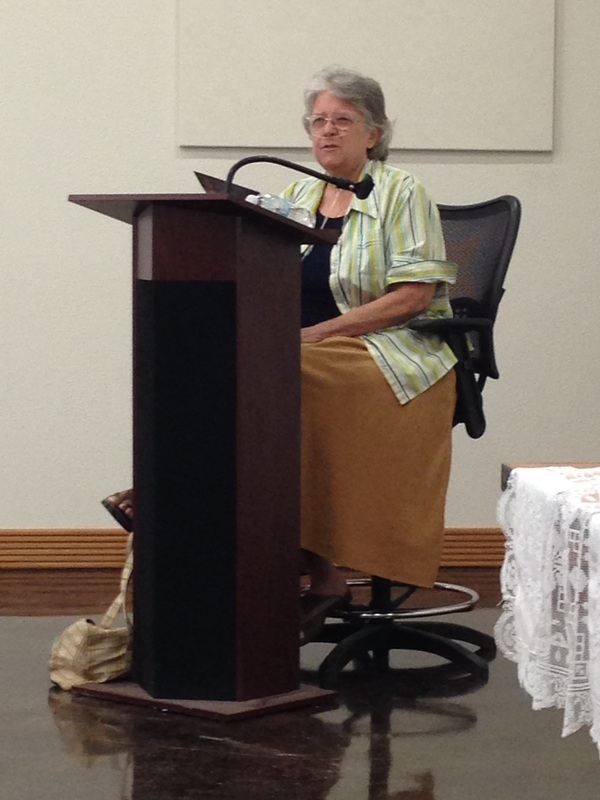 June 21, 2014 - local writer Beth Garcia will read tomorrow in Austin as one of the winners of the Texas Authors Association. 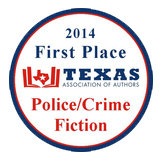 She got awarded first place in Crime/Police fiction for 2013 for "One Bloody Shirt at a Time." You can get more details at her new Web site, Elizabeth A. Garcia author, which she launched earlier this week. 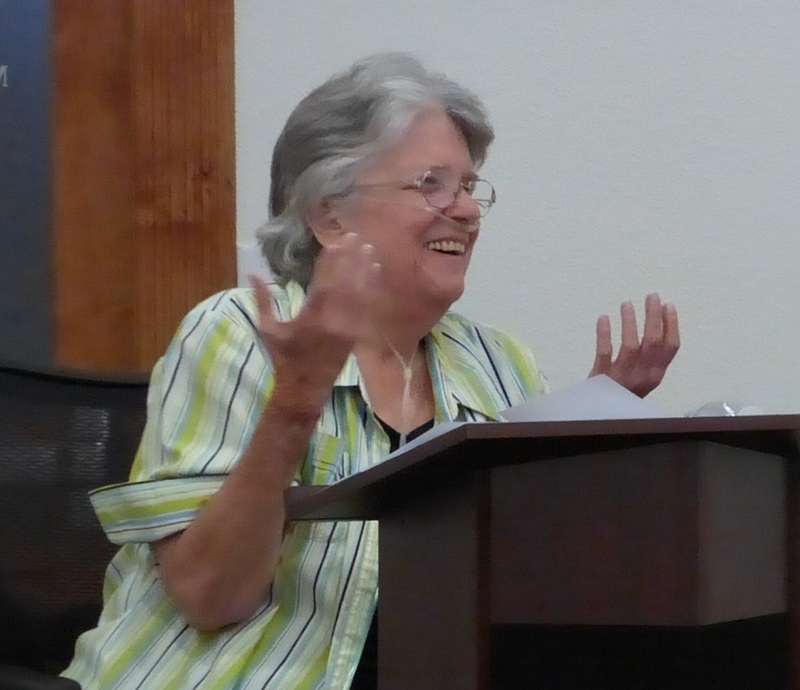 On June 6, 2014 from 7 PM to 9 PM Elizabeth A. Garcia read from her works at the Alpine Public Library (805 West Avenue E) to raise funds for the library. Tickets were $25 and include wine and snacks. 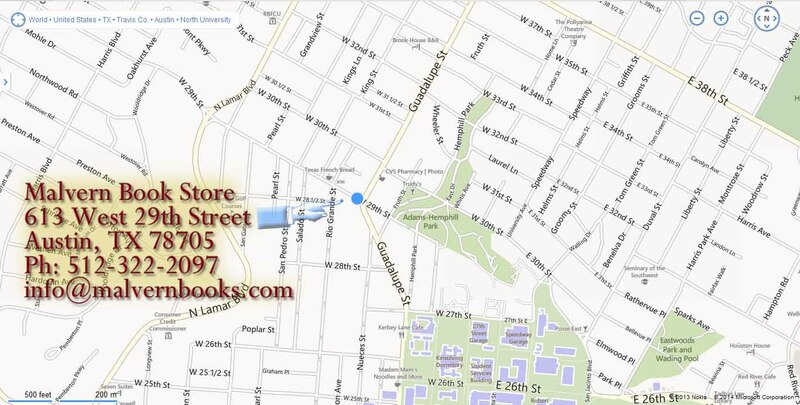 All proceeds benefit the library. 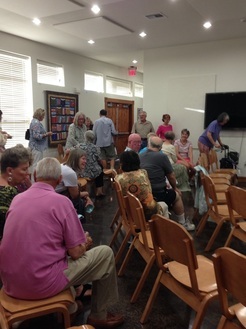 Click to here her interviewed on the KRTS "Talk at Ten" radio program about the library event but also about her writing process. 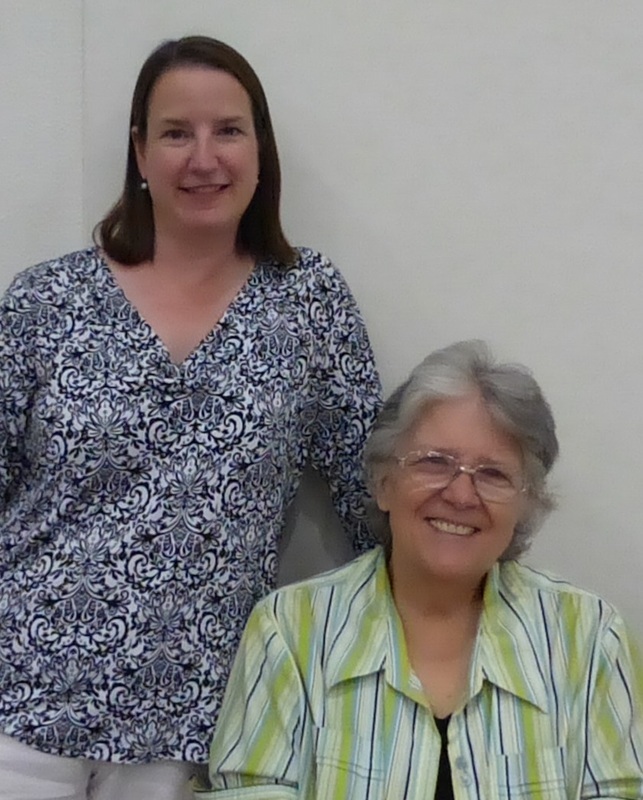 Paige Delaney, the Librarian at the Alpine Library, welcomed Beth Garcia to read from her award winning novel One Bloody Shirt at A TIme. 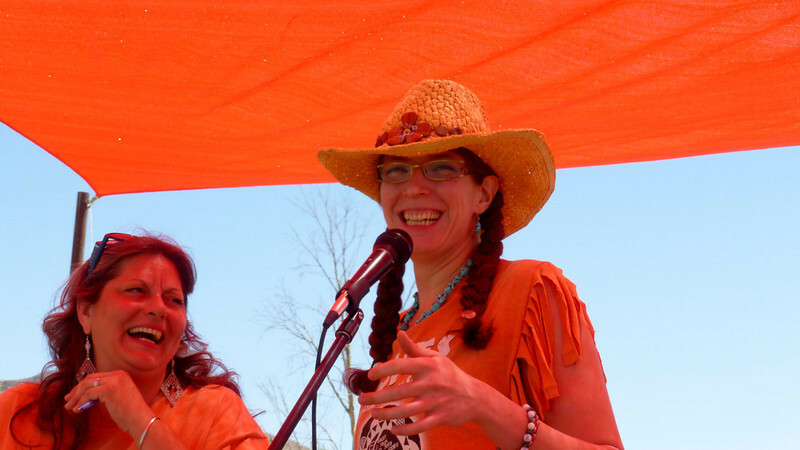 Beth wrote about this event in her weekly article for the Alpine Avalanche and her blog, "My Name in Lights." She sent us a copy of "My Name in Lights" that you can read by clicking here. 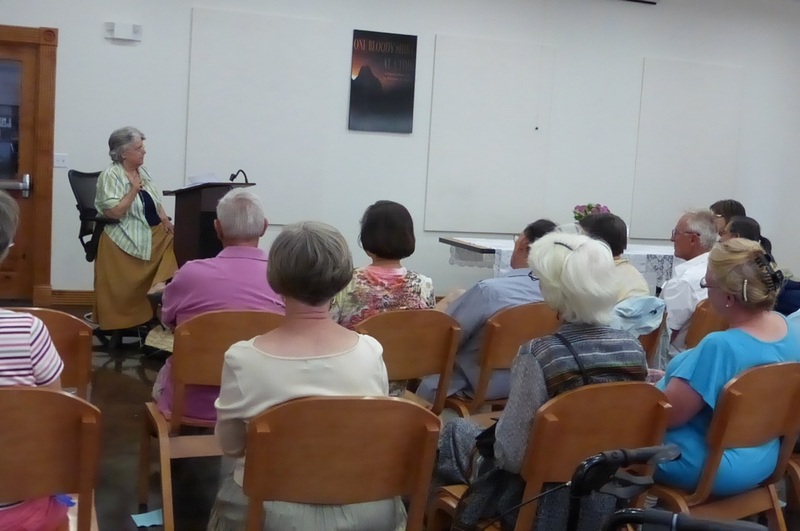 The audience made Beth feel "like a rock star." 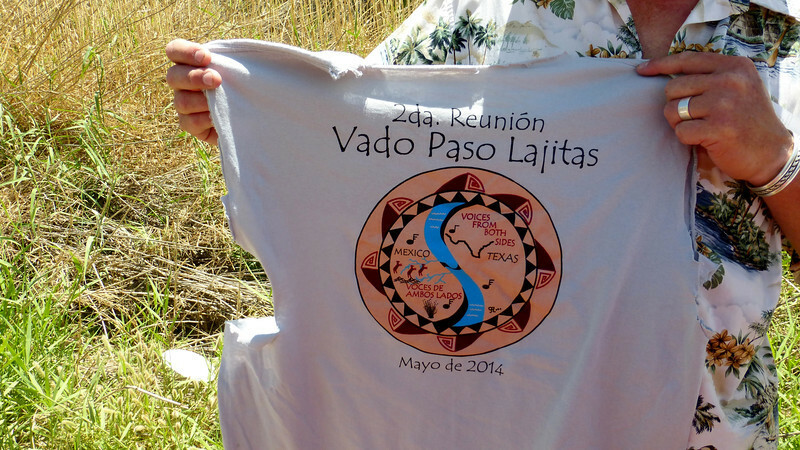 LAJITAS, TEXAS - The second annual Voices from Both Sides festival was held in and at the Rio Grande River between Lajitas, Texas and Paso Lajitas, Chihuahua, Mexico on Sunday, May 11. 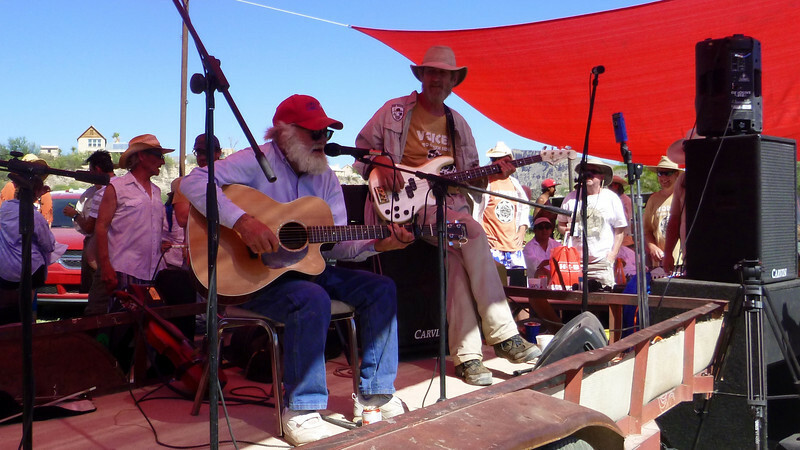 Organized again by Terlingua residents Jeff Haislip and Collie Ryan, along with representatives of Paso Lajitas and San Carlos, Chihuahua, the festival was much larger than last year's inaugural event. 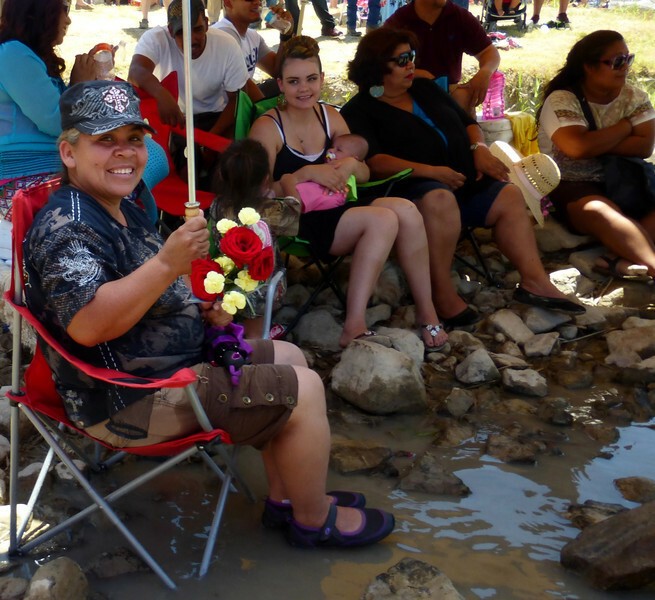 The crowds on both sides of the river this year were three or four times as large as during the 2013 event. 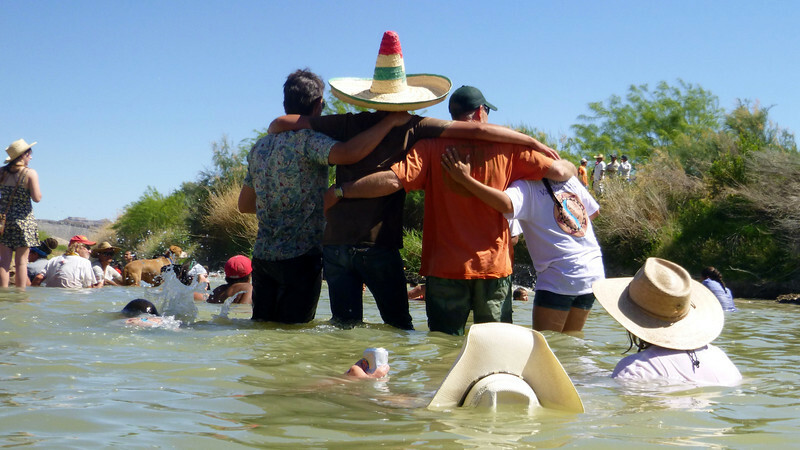 The celebration took place in and on the banks of the Rio Grande. 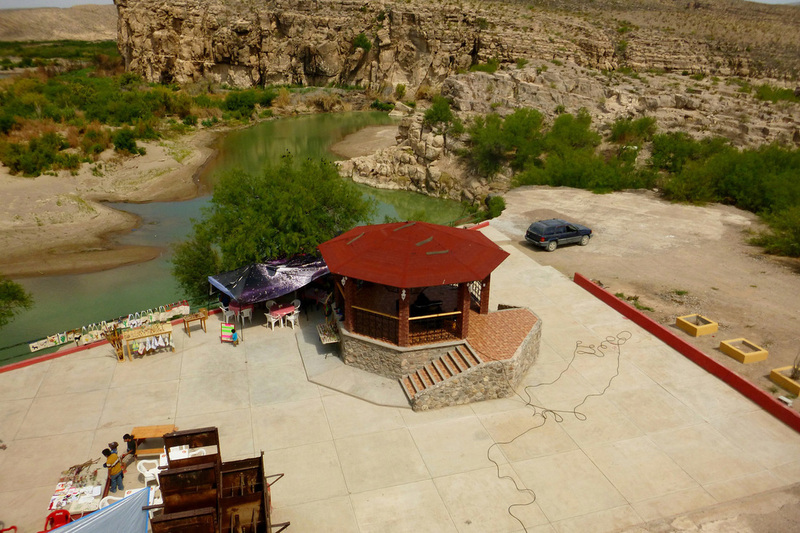 Alternately, bands played on one river bank or the other. 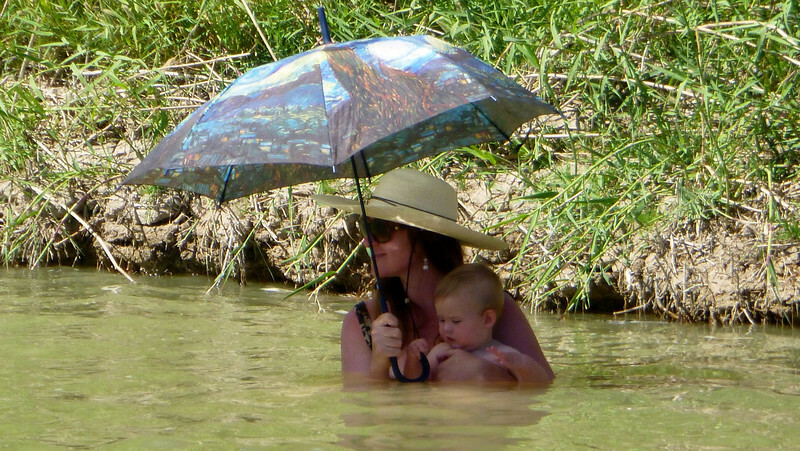 Children, parents, grandparents, couples and singles, frolicked in the water. 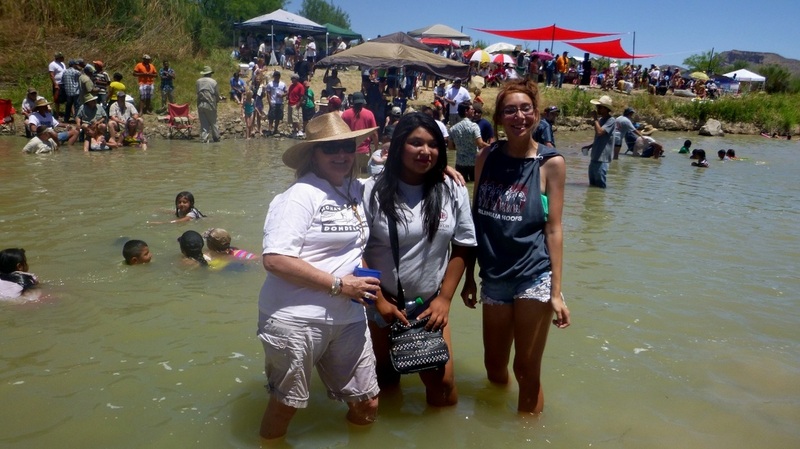 Citizens of Mexico and the United States mingled in and along the river. 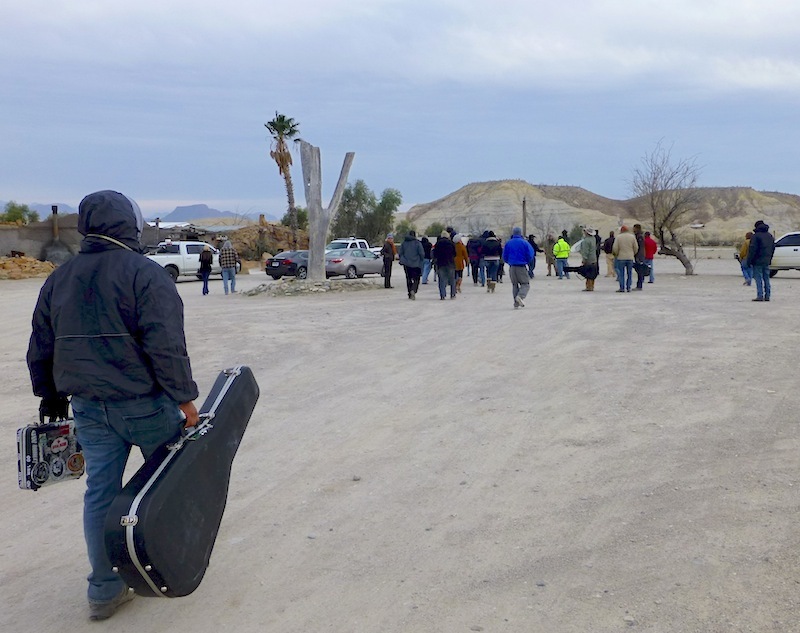 In many cases there were family reunions of grandparents and grandchildren or parents and children separated by nationality when the theretofore open border was slammed shut in 2002. Food was shared on both sides. And this year, Mother's Day presents! 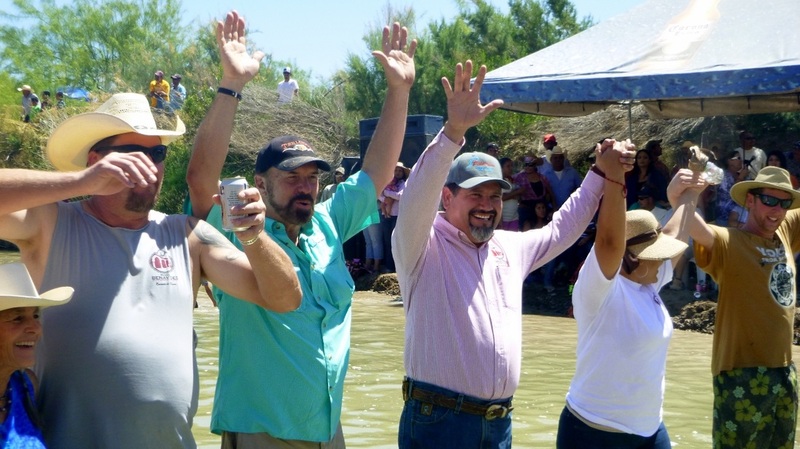 As Bill Ivey of Terlingua and El Presidente (Mayor) Benjamin Ortiz of San Carlos met in the middle of the river, celebrants formed a human chain, symbolically linking the river communities at the border. 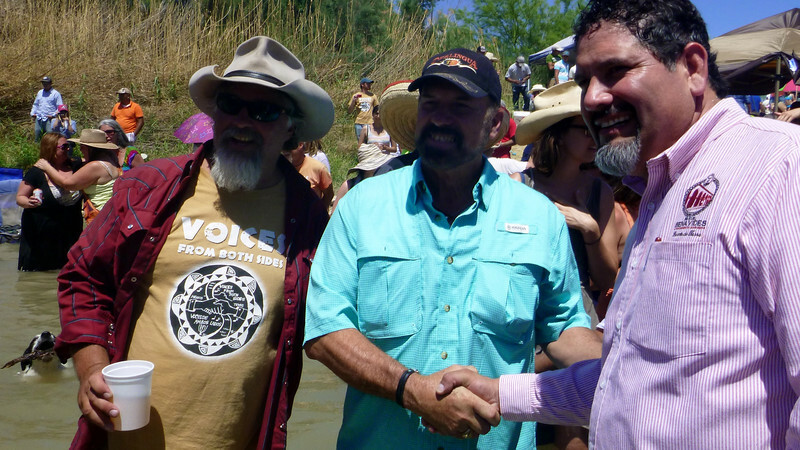 For some Voices from Both Sides is a glorious festival. 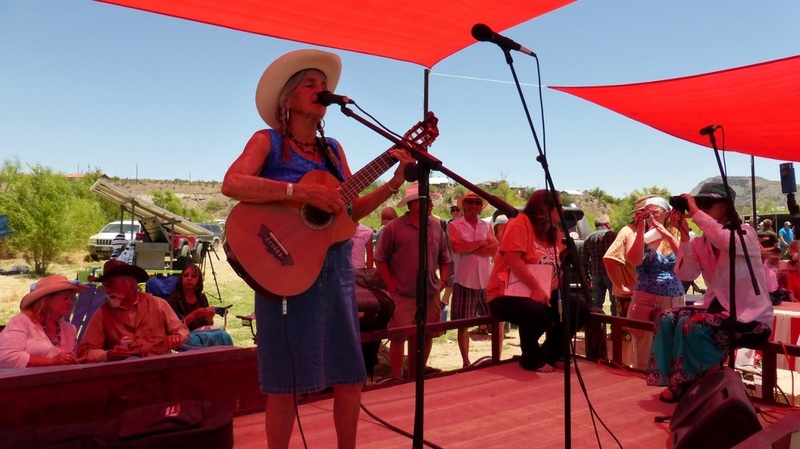 For many, the festival is also a protest; a protest of the U.S. border policies and the harmful impacts those policies have on families and children and the quality of life and culture in the settlements along both sides of this unique area along the border. Bixby traveled from far away back home again just for this celebration. Don't know if he realizes the history being made to his left. Viva Neighbors! Viva Voices! Viva Friends/Amigos! 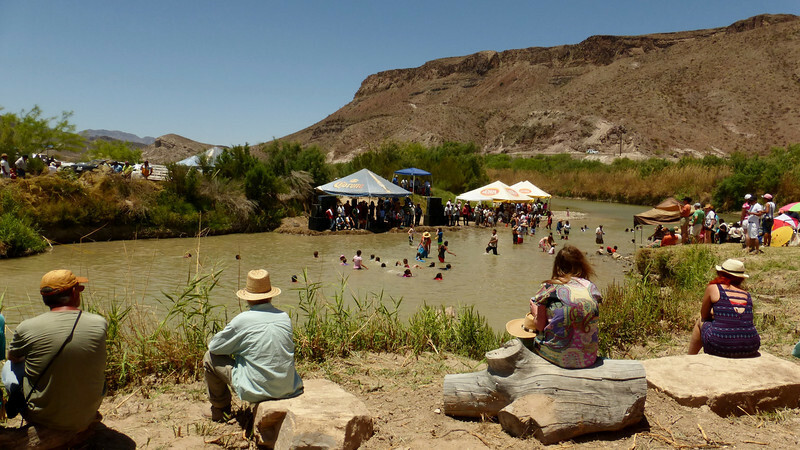 BIG BEND NATIONAL PARK - The First Anniversary of the opening of the new Boquillas Crossing was celebrated by Big Bend National Park and the village of Boquillas del Carmen, on Saturday, April 19. 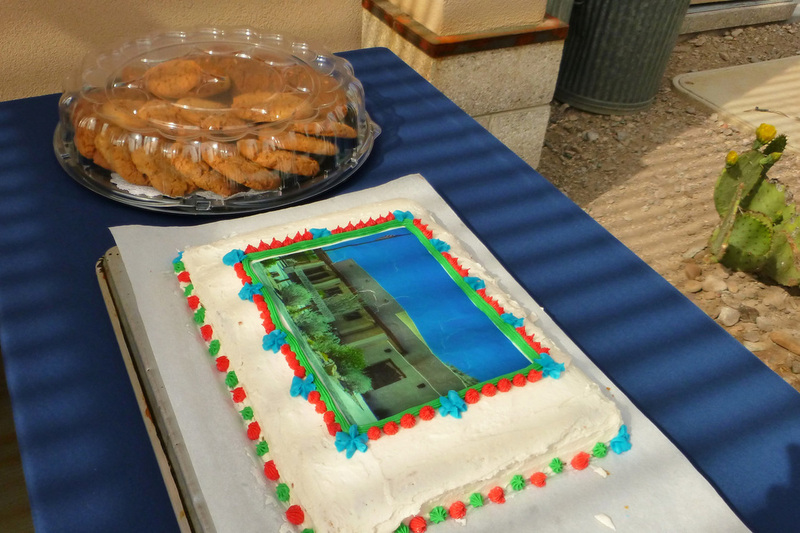 The actual opening date was April 10, 2013 but April 19 was selected by the Park Service and the Village for the celebration. 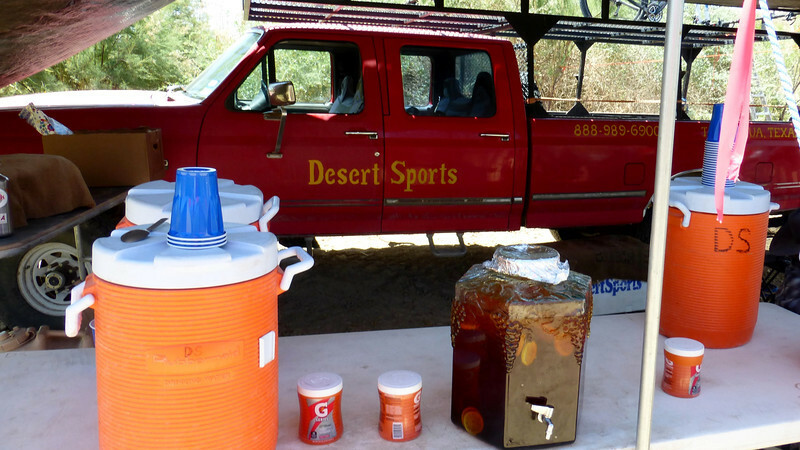 The celebration coincided with the weekend during which admission to all national parks was free. 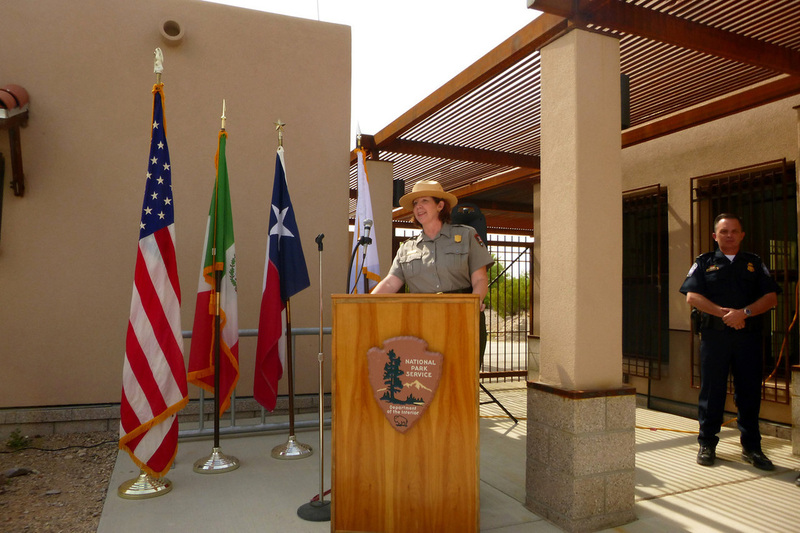 Big Bend National Park Superintendent Cindy Ott-Jones hosted a brief ceremony at the Boquillas Crossing building on the U.S. side. 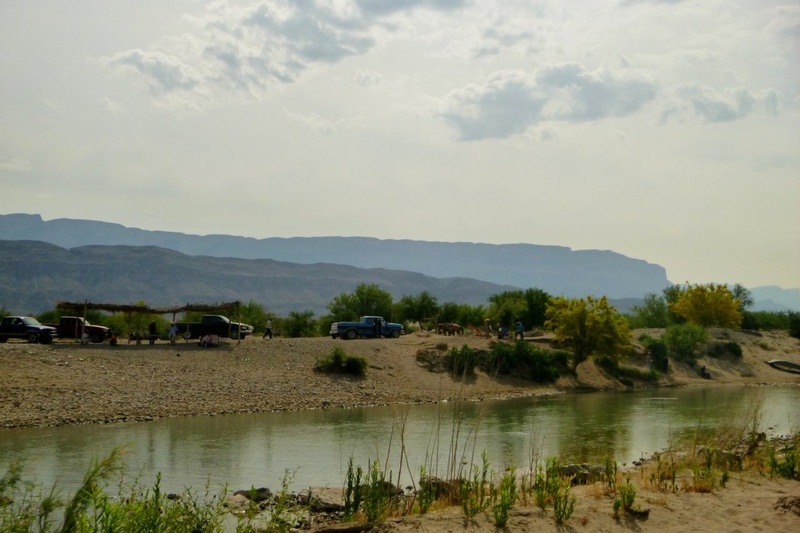 Following Ott-Jones brief remarks, many used the "Boquillas International Ferry" (rowboat) to cross the Rio Grande to the Mexican side. 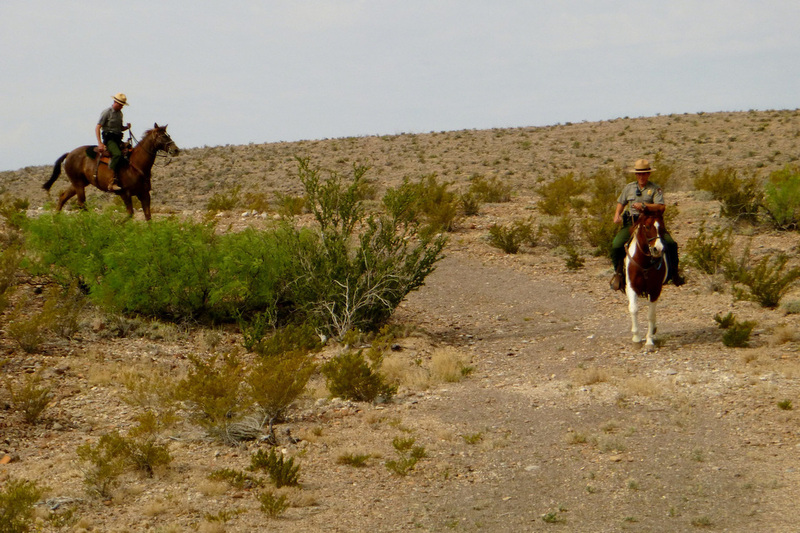 From there visitors chose from among horses, burros, pickup trucks, or walking to go the approximately thee-fourths mile to the village. 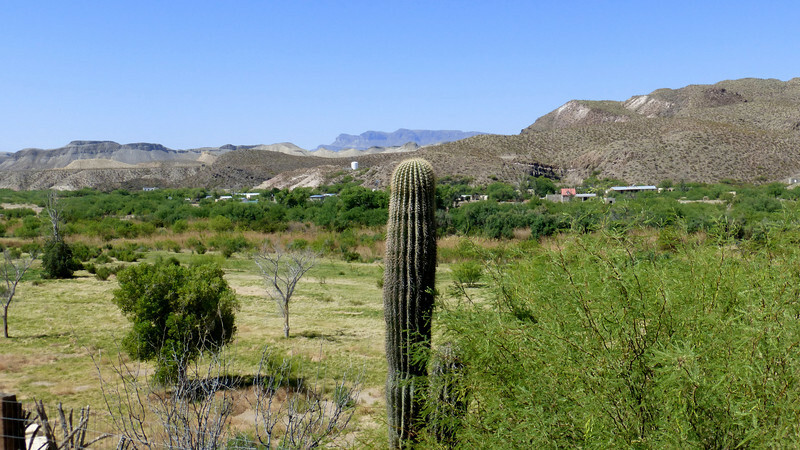 The residents of Boquillas have made much progress since the re-opening of the crossing one year ago. It is now possible for visitors to choose from among three restaurants, to purchase items from a well stocked curio shop and from many local artisans. 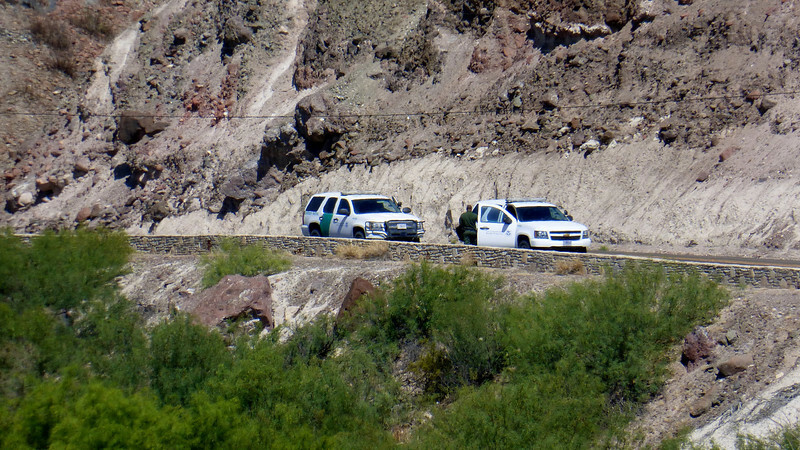 Overnight stays are now possible at several locations too though as Superintendent Ott-Jones reminded guests, the border is closed each day at 6 p.m. and all of Monday and Tuesday, something to consider when planning a visit. 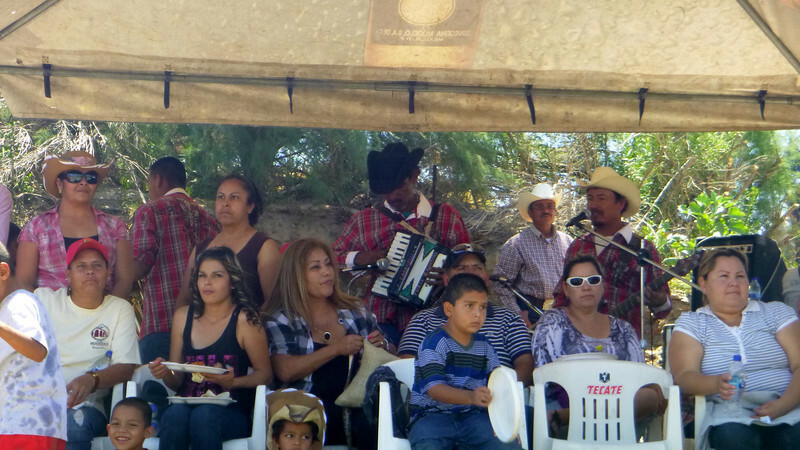 The first anniversary fiesta included music by local musicians, many from the U.S. side, performed at the new gazebo on the plaza, built by the Mexican government. 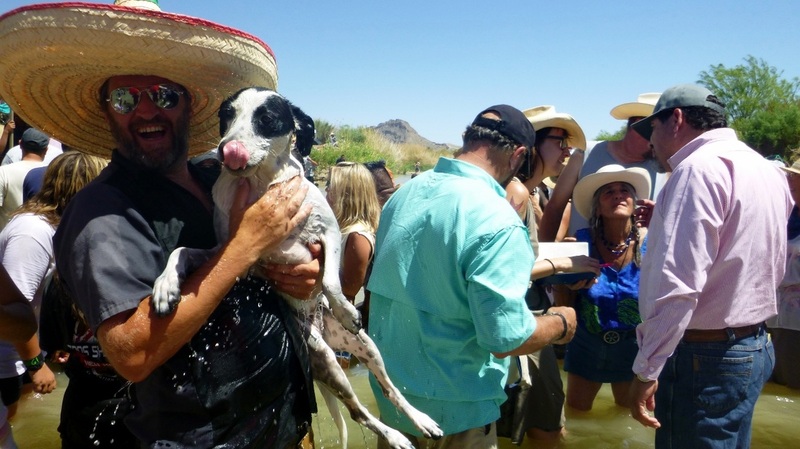 The fiesta was not grandiose, but according to Ott-Jones a more formal, larger event to be attended by the U.S. Secretary of the Interior and Mexico's Secretariat of Environment and Natural Resources is in the planning stages for sometime in the fall. 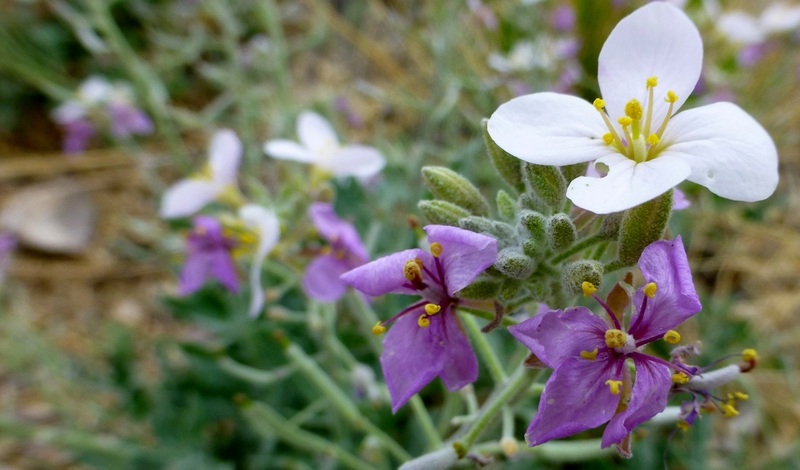 TriColors have a most impressive scent. The first bluebonnet I found was December 28. Just lately lots more signs of spring are popping up. Here. There. And Everywhere. and see their delicate details. 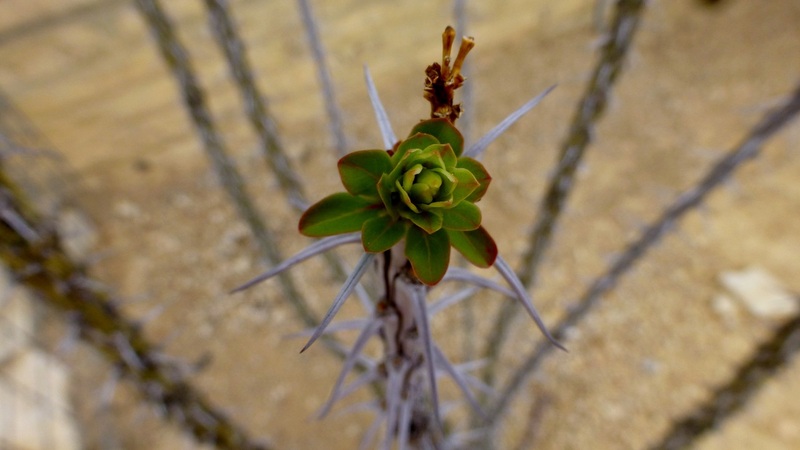 Just after a few sprinkles of rain, this Ocotillo started its bud. 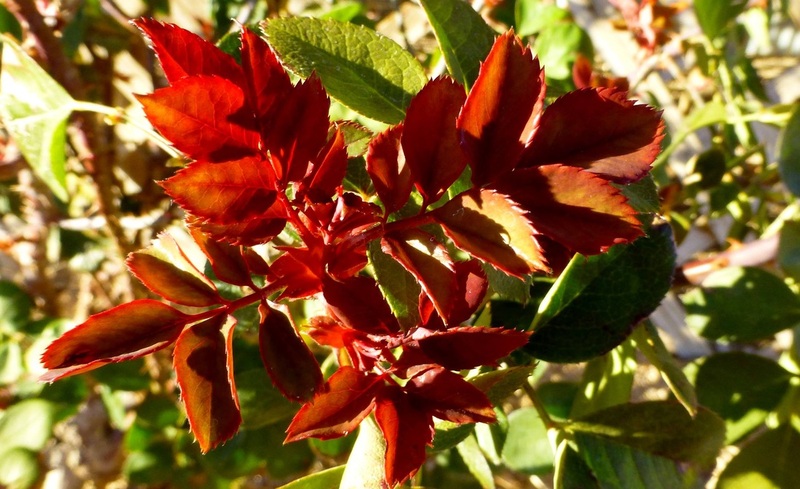 Roses in the desert? 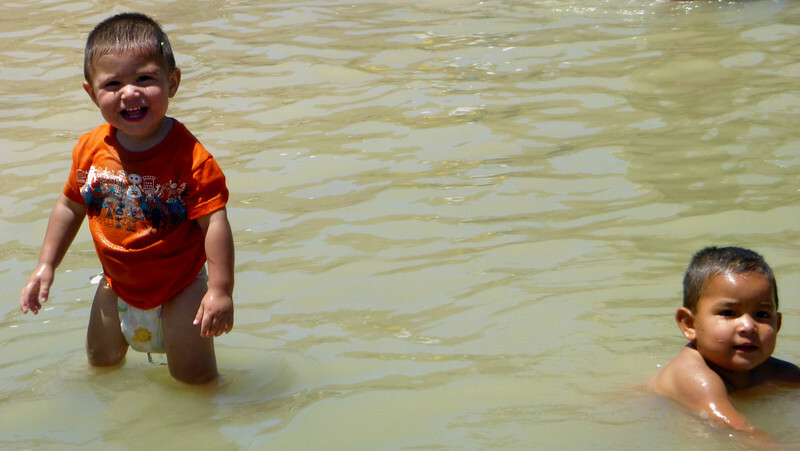 Yes, if they can find water. 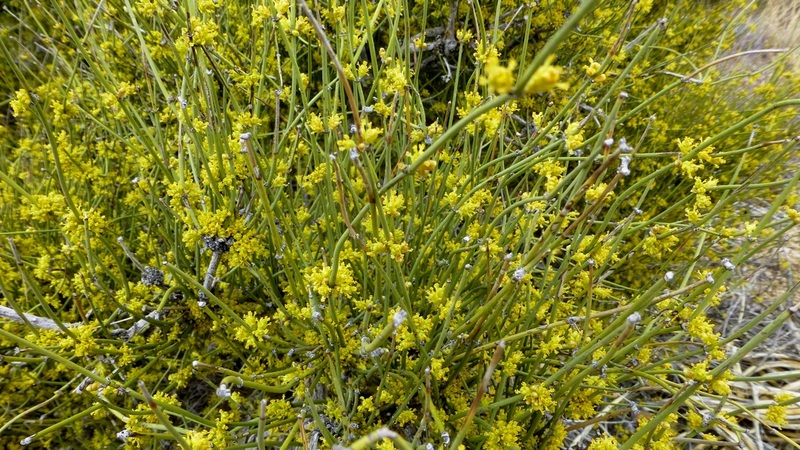 Mormon Tea with blooms. First time I've seen these. 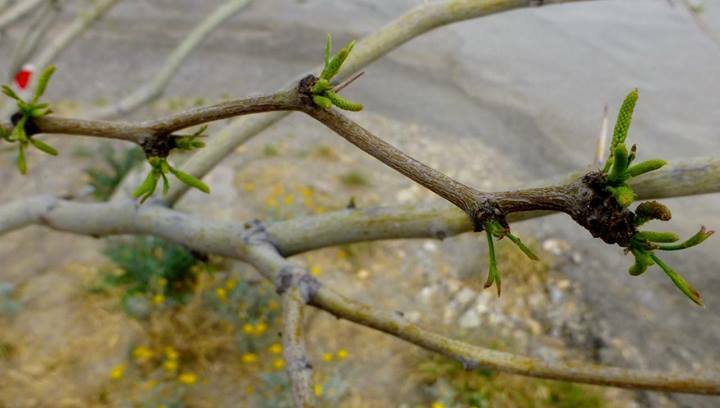 Conventional wisdom is that Winter is finally over when you spot Mesquite bushes with leaves coming. And Turkey Buzzards. 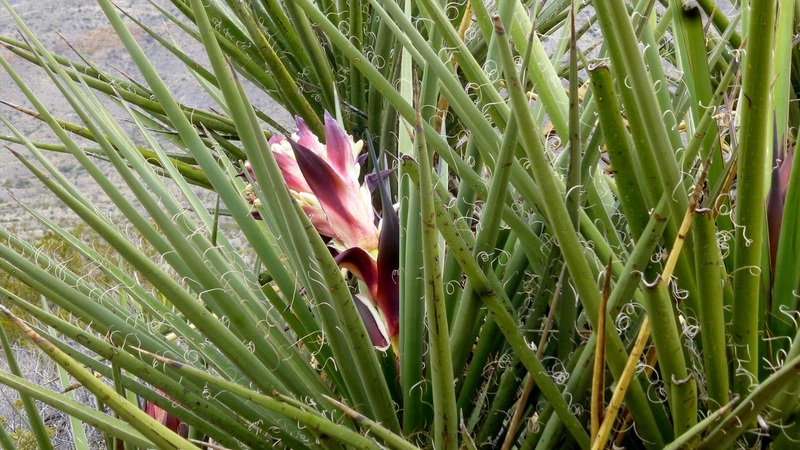 I shot the Red Yucca in the center and didn't even see the other two till I moved this photo to my computer. 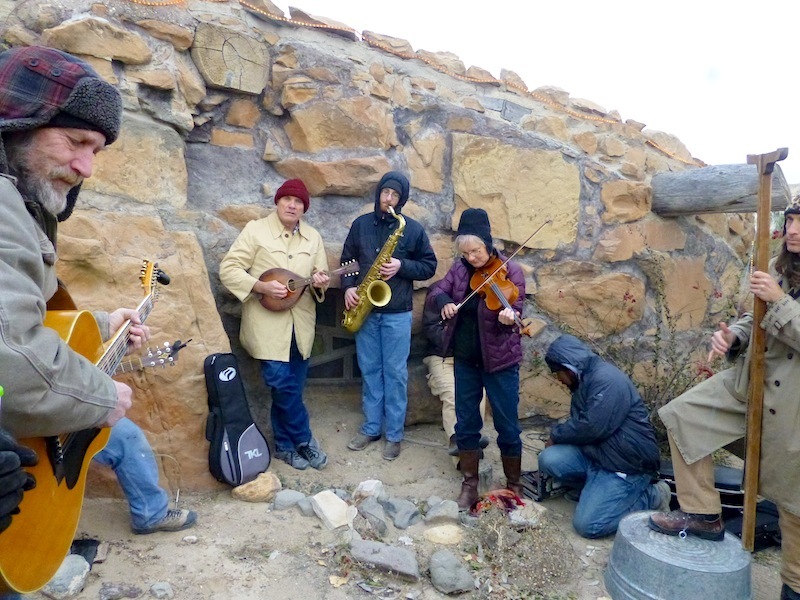 When Felts’ parents arrived, they welcomed musicians and friends to La Kiva’s parking lot where, in frigid cold and blowing wind, the musicians set up, and led with a song written for the occasion. 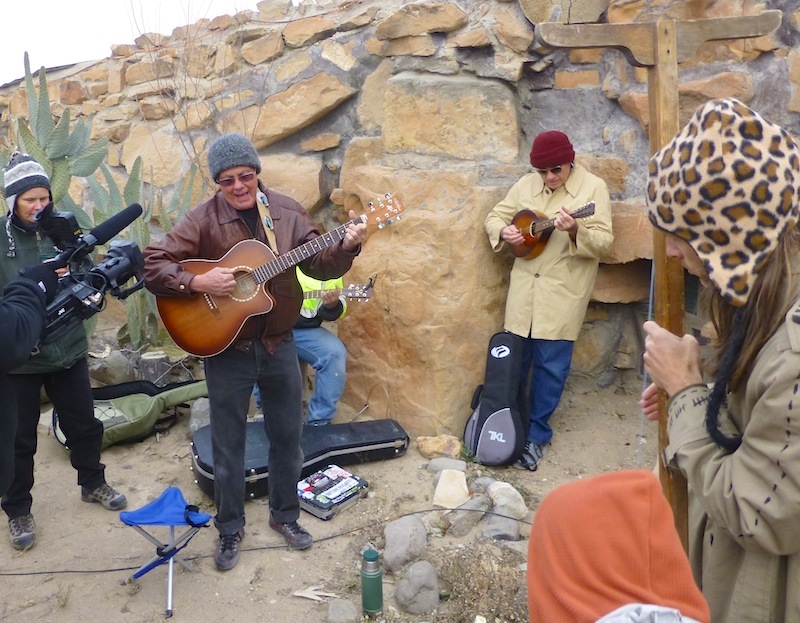 Terlingua and area musicians, friends and patrons of Glenn Felts and La Kiva gathered on a cold Wednesday evening for the 886th consecutive Open Mic, this one hosted by Moses Martinez and Laird Considine. 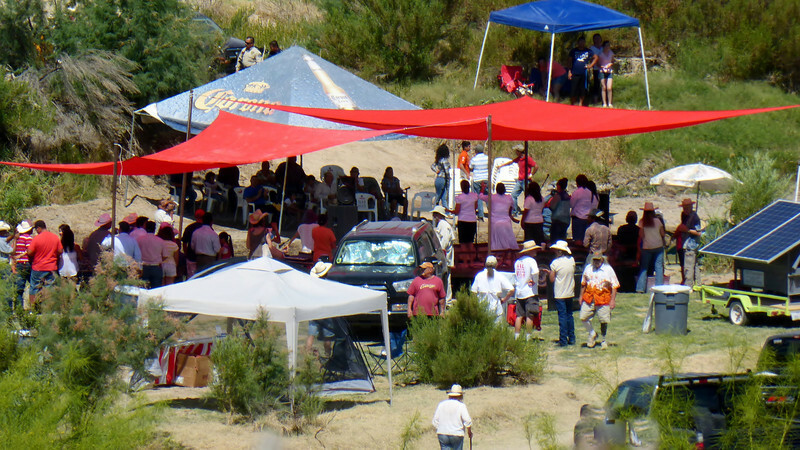 The occasion was to celebrate Felts’ life, which was cut short when he was found slain outside La Kiva early Tuesday. “79852”,sung by Alex Whitmore, had everyone singing along. Others joined in to share their love for La Kiva and Glenn Felts, including (from left) Laird Considine, Ted Arbogast, Chase Peeler, Jane Brown, Moses Martinez and Mark Kneeskern. 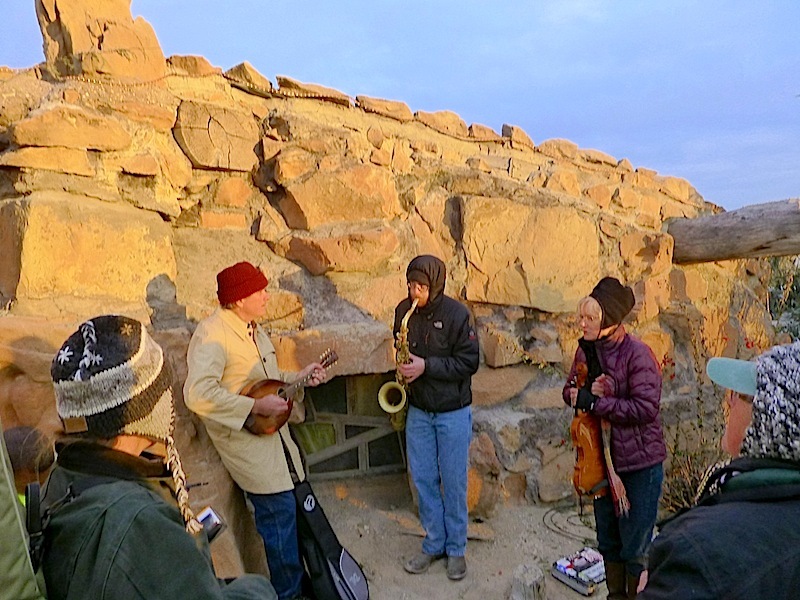 The sun broke through just at sunset to light the stage, where Carol Whitney, Ted Arbogast, Craig Peeler, Jane Brown and Charlette Teer were performing. 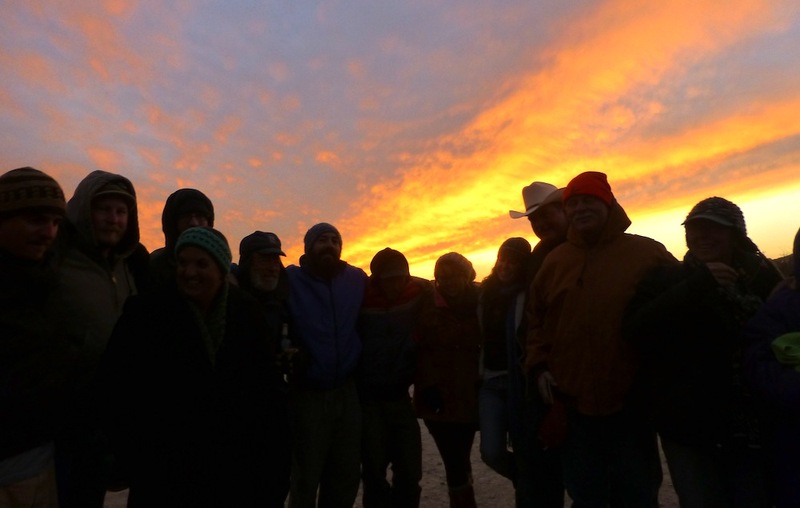 Cold drove the musicians in to a warmer spot, but to finish the memorial/tribute, a group hug was blessed with the most amazing sunset. he departed this earth bound for glory. He lived so very well as anyone who ever met him can attest. He and I put together this tribute a year ago when there was rough weather battering him. 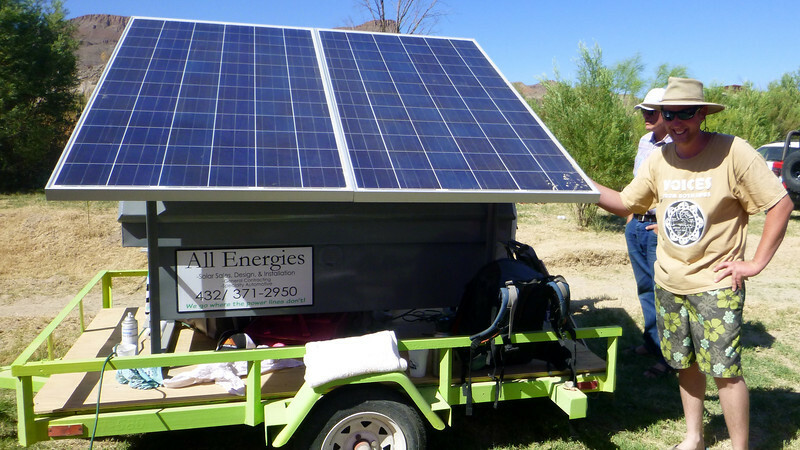 Chris Calvin from Voni Glaves on Vimeo.